The film was shot entirely in Louisiana, and some parts of New Orleans were made up to look like old Saratoga Springs and Washington DC. Rather than attempt to build an entire set to represent the New York of 1840, the decision was made to use a street of the French Quarter in New Orleans. This is one of the older sections of a very old city, and a few redesigned facades were all it took to recreate Saratoga Springs. 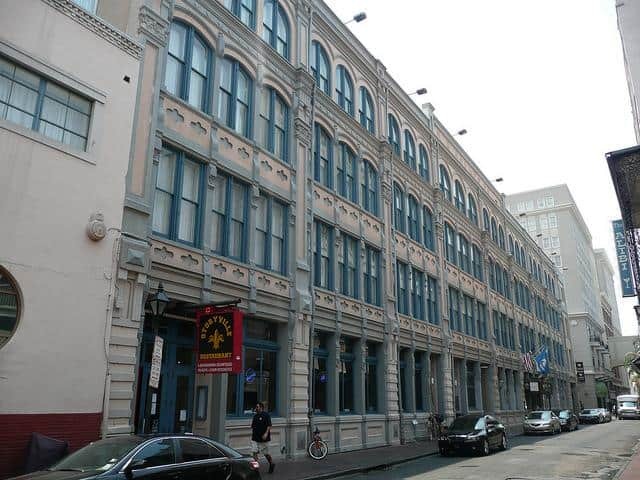 With some imagination, visitors to Iberville Street in New Orleans may pick out the buildings that appeared in the film when Solomon and his wife walk down the street in their hometown. New Orleans’ historic Columns Hotel was built back in 1883 and is on the National Register of Historic Place. In 12 Years A Slave, the hotel stars as the DC hotel to which Solomon Northrup is lured. The building is the only remaining example of Italianate houses designed by Thomas Sully, and the interior displays the grandest features known from late-19th century residences of the area. Originally the home of Simon Hernshein, the house was transformed after his death, becoming a boarding house before it was redesigned to be a hotel. The beautiful dining room is used as the ‘Gadsby Hotel’ dining area. 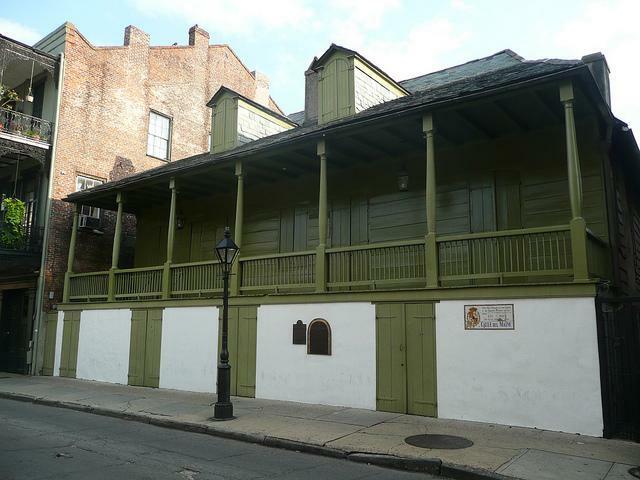 Madame John’s Legacy in the French Quarter is repurposed as the slave pen where Northrup is held. It was built in 1788 and follows an older, French Colonial style of architecture. Madame John’s is an excellent example of 18th century building complexes. 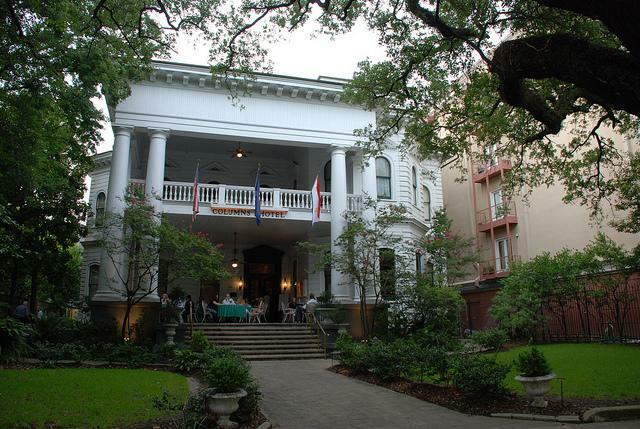 The buildings are a National Historic Landmark and are operated as a museum by the state of Louisiana. Madame John’s also had a cameo in Interview with a Vampire. 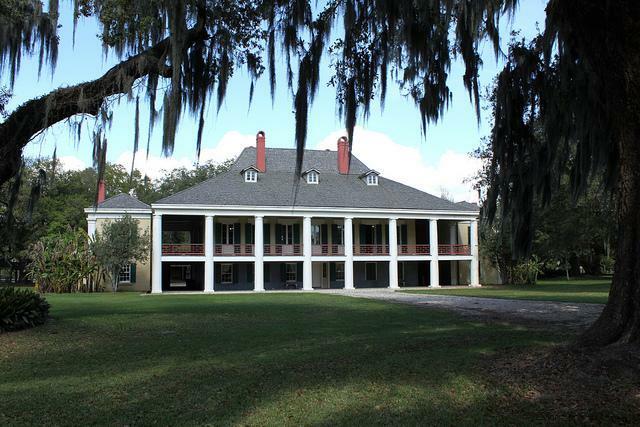 Built around 1846, Felicity Plantation in Vacherie is an historic sugar plantation with a distinctive mix of French Colonial and Anglo-American architecture blending to create an antebellum mansion. The beautiful red Italian mantelpieces and carved cypress balustrade reflect the love with which Valcour Aime built this gift for his daughter, Felicite Emma. In 1890 the Waguespack family purchased the plantation and merged it with the St Joseph Plantation. Together the two function as a working sugarcane plantation that welcomes visitors to tour the grounds or use the buildings for private functions. Renovated slave cabins remain on the grounds and can be seen along with other buildings from the old era, including a blacksmith building and the Creole Cottages. Near Natchitoches, the Magnolia Plantation is a complex of 18 buildings that are part of the Cane River Creole National Historical Park. An amazing amount of farming technology and original outbuildings survive, creating a unique and historically accurate southern plantation. Steam and animal-powered cotton gins remain on the site, as do the brick cabins that were used by workers after the Civil War and the former slave hospital. The main house is still owned by the Herzog family, the original owners, and it is not open to the public. Tours of the plantation store, gin barn and other outbuildings are available through the National Historic Park. The Bocage Plantation is one of the best presentations of American Greek Revival design. It was built in 1837 and has had many appearances in Hollywood films. Bocage was built as a wedding gift from Marius Pons Bringier to his 14-year-old daughter Fanny. The house was abandoned in the 20th century and stood empty for many years before being purchased and renovated to become the weekend home of a local doctor. Bocage Plantation is currently a bed and breakfast. The owners purchased the plantation in 2008 and lavishly refitted the interior with graceful antiques to create an elegant and lush experience for their guests. The plantation can be toured without staying overnight. Also in the antebellum Greek Revival style, Destrehan Plantation has a rich history intertwined with slavery and sugar cane. It was constructed between 1787 and 1790 during Spanish rule. The work was contracted to a “free man of colour” and he was given the use of six slaves to complete the house and outbuildings. The contract still exists and is on file at the parish courthouse. In 1811, the plantation hosted the St Charles Parish Tribunal, and the grounds were the site of the execution of 18 slaves involved in a revolt. The house was donated to the River Road Historical Society in 1971, and restorations have been ongoing since then. Guided tours are available and demonstrations of period crafts such as indigo dyeing and candle-making are performed several days a week. The mule shed is the building used in the film. None of the original houses or other buildings remains from the 1840 events experienced by Solomon Northrup, although some of the plantations are still lived on. Surprisingly, the original Epps house, which is quite modest, was moved from its location in Bunkie, Louisiana, to the Louisiana State University at Alexandria. It is used as a museum to display artifacts from Northrup’s life as a slave and can be visited. The land where the building once stood is privately owned. The William Ford Plantation was described as two-stories high with a piazza in front. The grounds also held a separate kitchen, chicken coop, corncribs and several slave cabins. The building no longer exists, but the giant old oaks that line the drive direct you towards where the house once stood. Pleasant Shaw, a neighbour of Epps, lived in a home that was an exact replica of the Epps’ house. The two houses were built at the same time and used the same floor plan and building materials. The house is no longer standing.